Bernie and Zane Carnachan have been upgrading their on-farm irrigation infrastructure since taking on their 600 ha dairy farm, of which 530 ha is irrigated. They’ve been upgrading the irrigation system in stages to grow more grass for their 1,200-cow herd and to reduce labour. Previously, the farm’s irrigation system was the old-style flood irrigation, with small flow rates, clay pipe outlets and many small bays. The maximum flow rate across the farm was 7ML/ha, supplied via 6 wheels. This meant irrigating the whole farm and watering of bays was slow. Irrigating a paddock took 25-30 hours, as it was split into multiple small bays. Due to small on farm watering infrastructure, not all paddocks were able to be watered in summer months as the channels couldn’t handle high volumes of water. This lead to decreased irrigated efficiency and pasture growth and consistent labour requirements on farm when irrigating. All runoff from irrigation went to the roadside drain which resulted in no water and nutrient capture on farm. “Prior to the upgrades there were areas we dried off on farm as we couldn’t water them well enough. Now we can water them all through the season which helps with carrying more young stock at home,” Zane Carnachan. Wai Nui Farms started to redevelop their farm, they updated the irrigation farm plan with a focus on bringing in as much irrigation area as possible. The plan showed the potential to rationalise their SRW supply outlets in return for a modernised slip meter. 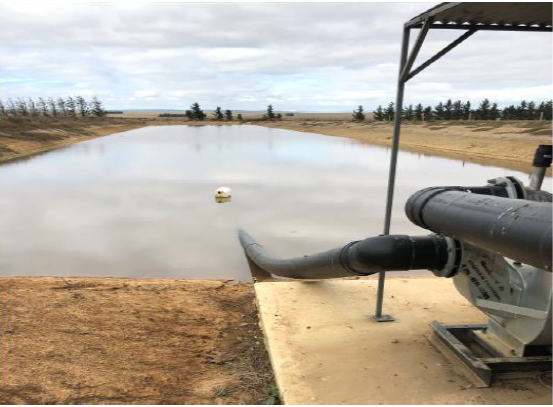 This in turn gave them consistently high flow rates and led to them upgrading 50 hectares of their flood irrigation to best practice surface irrigation. Having the farm plan has also meant that the irrigation redevelopment has been able to be completed in stages. The new layout of the irrigation bays has made the areas easier to manage. There has been an improvement in cow flow due to the removal of the SRW drain and straightening up of paddocks and bays. A runoff system that captures from 105ha in a large 10ML dam. Redesigning the difficult irrigation bays completely to allow irrigation – increasing the area irrigated by 21 hectares. The increased flow rates and the efficiency when watering has lead to a 33% decrease (7ML/ irrigation) in the total volume of water used per irrigation. With the 10ML reuse system we get extra irrigations from water caught in the reuse system. Previously all this water was lost or our neighbors would benefit from it, but now we get to keep it all,” Zane Carnachan. Labour and time management “The labour unit has better than halved since the upgrades, and the actual time spent irrigating has also halved.” This reduction has reduced the labour cost to irrigate by $11,100 for the season, based on the average of 10.3 irrigations per season and average hourly cost for labour. Laser grading provided the opportunity to fully renovate the pasture and work out how to better manage the areas. There is potential for improved pasture production as a result of quicker water on/off times. This will lead to reduced waterlogging issues and an improvement in pasture species. After installing the reuse system, all nutrients applied to the 105 ha is being retained on-farm. Although the project has been a costly one, the long term productivity gain for our farm in regards to labour, water efficiency, pasture production, stored nutrients and captured runoff water are factors that will pay for the capital expenditure in years to come. 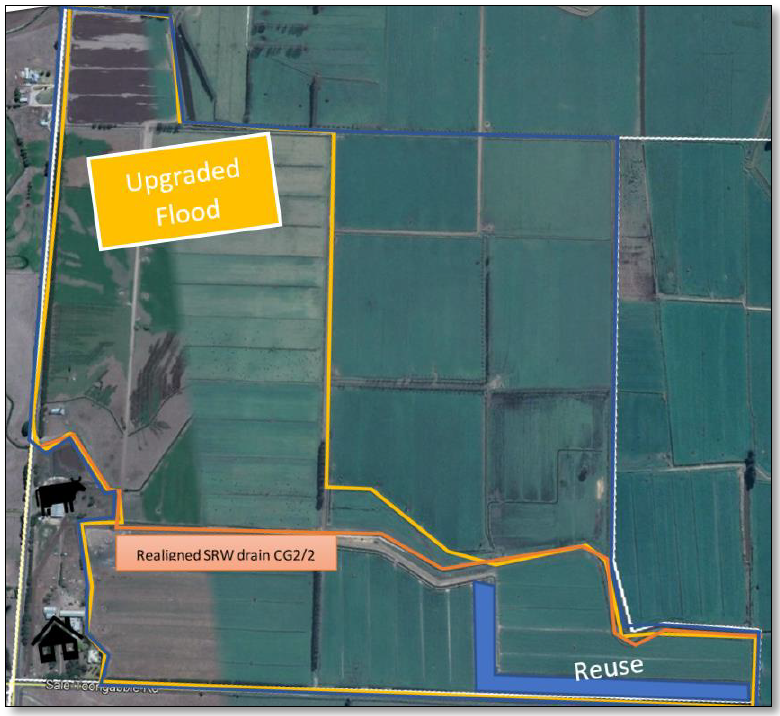 Further flood irrigation upgrades will be done when there are less other cost pressures. Automation of the bay outlets will occur in the future, however not until the final stages of irrigation upgrades occur. With consistent bay sizes, there is also less monitoring of the irrigation required, which means less time checking how far the water has gone down the bay. The benefit of knowing that all water is captured effectively in the reuse system ensures a less stressful irrigation and provides flexibility to their lifestyle.